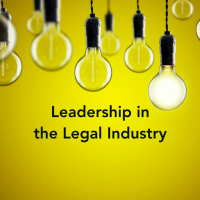 The legal profession in Canada is in a period of major change. Once insulated, law has become one of the most competitive markets in the new normal. In today’s evolving legal market, lawyers will require a new type of training to develop the skill set required to seize and participate confidently in this ‘new normal’ and seize the available opportunities. As identified by the Canadian Bar Association’s Legal Futures Initiative, the combined forces of globalization, technology, and market liberalization are creating new services, new delivery mechanisms, and new forms of competition. Those changes are altering client needs and expanding client expectations. External and internal clients want services to be quicker, cheaper, and smarter. They want more transparency and involvement, and they want to be and stay connected. The key to establishing a viable, competitive, relevant and representative legal profession in Canada in the future is innovation — not just the development and adoption of technology-driven platforms and service delivery models, although they are critical, but also through new ideas about how lawyers are educated and trained, and how they are regulated to maintain professional standards while protecting the public. Lifelong legal education is the expectation today, and additional skills and practical training must be added to the law school curriculum – or where the Canadian law schools fail or refuse to deliver – delivered afterward to prepare lawyers for the demands of the future (business management, project and process management, communications, technology literacy, etc.). Lawyers must train, as other professionals do, by incorporating more practical experiences earlier in their legal education, and training after their licensing with more coaching and feedback in practice settings. 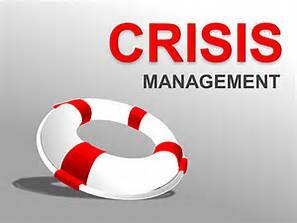 Law practice management skills is a required competency for survival as a lawyer. Lawyers today must understand what technologies are required to support different law firm, in-house, or government business models. 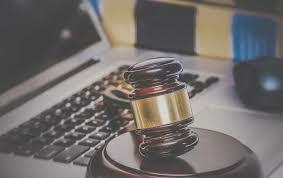 To competently practice law, a lawyer must now understand the impact that technology has on the practice of law, and by extension, law practice management (i.e. understand the risks and benefits of technological advances, and how they impose limits on the design and delivery of legal services). Lawyers today need to be professionals who know the law, but also have skills in practice management, technology, project management, and outsourcing. Being “practice ready means more than just learning the principles of substantive law – it also means having essential knowledge in law practice management” and technology “in a digital age which will become the basis for a successful law career”, whether that career is at a law firm, in-house, government, or not-for-profit organization. 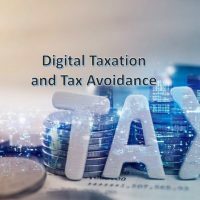 This article is in effect outlining a practical framework, with a focus on law practice management (and technology) to assist in addressing the challenges facing today’s lawyers. Law practice management is a required skill set to operate and function within a cost effective, efficient, professional and sustainable law firm or legal department. What we do as lawyers can be life affirming, helping our clients, and potentially shaping society for the public good. A career as a lawyer is an extraordinary calling, and to be a lawyer in the legal profession is a privilege. Nevertheless, the profession of law today is more challenging today than ever before. Between a shaky economy and increasing unemployment in our society, lawyers like many other professions are being forced to the edge of uncertainty. 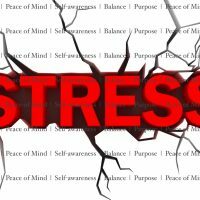 Surveys continue to find “overwhelming evidence that stress, anxiety and burnout are the most prevalent issues affecting the legal profession”, and that work life balance “remains a key issue for lawyers”. Modern life continues to become more stressful and a satisfactory work-life balance is getting harder to maintain. There are a number of reasons for this, from “economic hardship to technology”. Unfortunately, many lawyers, law firms and legal departments are not prepared for the economic and technological reality of today’s Canadian legal market. And, it’s going to get more competitive. The changes and transformation within the legal profession has particularly impacted the demand for legal services – negatively affecting the job market, employment prospects, and profitability for lawyers. 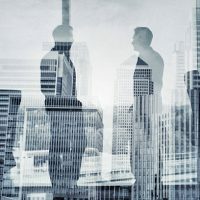 The reality is that law jobs and articling positions have not been abundant or particularly high paying for many lawyers in the profession for at least the last decade, if not longer. similar to the U.S. experience, there appears to be too many lawyers and not enough quality legal jobs. 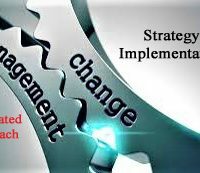 Lawyers generally resist change, and if they do change it is slowly, around the edges and without a great deal of flexibility or agility. Change is hard in the legal world, innovation is even harder, but change we must. To be successful, current lawyers and future generations, more than any other time in our legal history, will have to think and act like entrepreneurs – whether in private practice, in-house, or government – rather than like associates or employees. Lawyers today must embody a greater level of innovation and entrepreneurship than ever before to be competitive and attractive to external or internal clients. Lawyers, law firms, and legal departments must provide a sustainable model for delivering legal services that are cost effective, accessible, high quality, and efficient. The training of lawyers and law students in law practice management and technological skills are two of the most required competencies to meet that objective. In 15 years, two-thirds of lawyers won’t practice law, at least not the way they practice now. A legal education is insufficient without training and development in ‘law practice management’. By this I mean an understanding of: business planning; workload and staff management; financial management; office management; project management; outsourcing; technologies for law firms and legal departments; external or internal marketing; and the ethical implications raised by each of these topics. As lawyers, we must all become proficient and master business processes optimized for the internet age. This includes business administration in the legal context. Unfortunately, this subject is often treated at law school as an elective, that is irrelevant to the actual utilization and/or practice of law – a subject that is seen by some in positions of educational authority as possibly being within the domain of ‘business administration’ rather than law. This state of affairs may have been in play originally because law practice management may have been seen in the past as so practical that it was thought insufficiently rigorous for law school curricula. However, law practice management is now so important, deep and difficult it must be a necessary part of a law school education (as well as continuing legal education for lawyers’ post-call to the Bar). The training of lawyers and law students in law practice management skills is a required competency for a successful competitive lawyer. 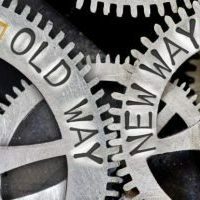 Lawyers and law firms who embrace technology into their day-to-day practices will quickly separate themselves from lawyers who resist change. Simply put, legal organizations and law firms who do not embrace technology will be pushed to the sidelines. However knowledgeable a lawyer may be in the “law”, Clients will not continue to work with lawyers with antiquated processes. Not having, or underutilizing, legal technology means inefficiency and inappropriate cost. Clients expect steady increases in lawyer efficiency, cost predictability, and service quality. The smart and innovative law firms and legal departments are increasingly using technology and data analytics to operate their business efficiently and effectively. Lawyers must track the very metrics strong clients (internal and external) are using in order to do a self-analysis of case or file performance. For those lawyers who embrace technology (and adjust their business model to use technological tools to support the efficient delivery of their legal work, intellect and judgment – i.e. that indispensable part of the value proposition that cannot be provided by technology), the efficiency and information available will open up incredible opportunities. Today’s more tech-savvy clients know competent law firms and legal departments have access to process-improvement systems like case management. Consequently, they expect and demand efficiencies. Done properly, technology like case management software creates a framework for the entire firm or legal department to operate as a more cohesive and consistent organization. A comprehensive practice management system (cloud-based computing delivered over the internet is becoming increasingly de rigueur for legal technology utilized in legal organizations – law upfront fees, easy mobile access, simple setup and configuration, built in disaster preparedness – but client confidentiality and security continues to be an important consideration). A system that allows the law firm/legal department to clearly define the client processes. Legal research tools (CanLII, Quicklaw, Westlaw, LexisNexis, Wolters Kluwer, Fastcase, Casemaker, Court official websites, free cloud based systems like Google Scholar, ). Unfortunately, there are several hurdles to appropriate legal tech adoption. The “first and most cited issue is that most lawyers are simply not technology savvy”. One commentator is of the opinion that “lawyers and legal professionals, on the whole, chose their careers directionally away from math or science” and although “this is changing, on the whole, the lack of technology continues to be depressing”. Second, change is scary, “disruptive innovation threatens the status quo” and lawyers are afraid of the impact to their profession and their careers, and there is going to be an impact. “… through maintaining existing structures and processes for running a legal practice; relying on rigid billing methodologies (e.g. the billable hour); establishing fixed career paths and expectations for junior lawyers; resisting file transparency or external oversight; being unwilling to include or empower clients in the legal process; demonstrating reluctance to work with outsiders, whether they are other lawyers or non-lawyer professionals; and showing a minimal interest in investing in innovation. This conservatism is not universal, however, as there are pockets of innovators and early adaptors within the legal profession. 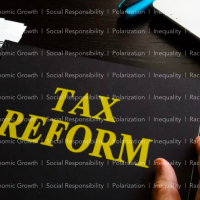 But rather than leading changes and creating their own futures, many lawyers believe that they must maintain current practice structures and delivery models in order to satisfy their professional and regulatory requirements and to protect their financial well-being”. In-house counsel, who are both buyers and suppliers of legal services, have become much more concerned with the cost as well as the quality of externally provided legal services, doing more work themselves or requiring outside law firms to provide greater transparency, financial limits, and control for legal fees charged. We are seeing strong advances in ‘litigation management metrics’ and ‘third party lawyer rating’ services in North America being utilized by clients to manage their legal work and legal cost. Until recently, the majority of corporate clients who managed lawyer performance, did so based solely on legal fees. Sophisticated clients are now using “big data” to track and compare law firms and lawyers on important law firm / lawyer efficiency metrics such as: win/loss rates, lawyer performance by jurisdiction and case type, cost per closed case (legal fees and indemnity), cost per phase of litigation, cycle time, etc. What sophisticated corporate clients can see from these data driven approaches to monitor and evaluate lawyers, is that there is a perception that some lawyers are not efficient or cost effective in their legal services. This is troubling from the client’s perspective as most lawyers “bill hundreds of dollars an hour, and the longer they take to do something, the more they can charge for it”. As a result, clients either reduce legal invoices based on hourly rates for inefficiency, impose an alternative fee arrangement (for example, fixed fees), or change law firms. As such, data driven approaches to the practice of law can be alarming to legal organizations and their lawyers who are not efficiently using technology and case management software to drive efficient and productive client service. The only way external and internal lawyers can maintain or improve the quality and timeliness of their work, while keeping the legal cost to their clients competitive and reasonable, is to make operational improvements in how their work is done. Accordingly, lawyers must have a basic understanding of how technologies can be used to redesign legal services to improve productivity and client results, and reduce cost. Technology is a critical enabler for innovation. However, it must be remembered that it is only a tool to be utilized within the law practice management skill set to support the lawyer’s actual legal analysis, evaluation, judgment and final work product (it is not an outcome). As noted, lifelong legal education is the expectation today, and additional skills and practical training must be added to the law school curriculum – or where the Canadian law schools fail or refuse to deliver – delivered afterward to prepare lawyers for the demands of the future (business management, project and process management, communications, technology literacy, etc.). Lawyers must train, as other professionals do, by incorporating more practical experiences earlier in their legal education, and training after their licensing with more coaching and feedback in practice settings. Training in law practice management and law practice technology is a critical solution that is required to align the skills that lawyers and law students must have, with the employment needs of a radically changing legal market. Unfortunately, as noted, legal training until recently had little insight into or interest in the changing legal marketplace. Lawyers need to attend continuing legal education programs, and for law students, law schools must improve how they teach basic legal technology as part of the core curriculum as a necessary skill to prepare for practice in law firms, in-house, government, and non-profit organizations. At minimum, lawyers should hire an IT or law and technology consultant to advise on software and hardware choices – and understand the “unique dangers that the use of technology may have when used to transmit confidential client information in a law office setting”. Trial and error is not the appropriate or best way to learn how to use technology in today’s legal world. The Law Society of Upper Canada’s Technology Practice Management Guideline – not as helpful as one would expect in 2016 – outlines the circumstances in which the use of information technology is mandatory (i.e. electronic registration), and the circumstances when information technologies are only recommended. The Guideline invites the practitioner to consider the use of technologies to support client service expectations and practice management, and reminds lawyers to address concerns respecting security, disaster management and technological obsolescence. The Guideline states that “a decision not to follow the Guideline will not, in and of itself, indicate that a member has failed to provide quality service”, but “will depend upon the circumstances of each case”. Pursuant to the Law Society of Upper Canada’s Rules of Professional Conduct, lawyers must manage their practice effectively, and adapt to changing professional requirements, standards, techniques, and practices. 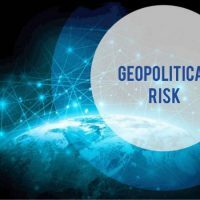 In short, professional lawyers are required to “keep abreast of changes in the law and its practice, including the benefits and risks associated with relevant technology”, although this ethical requirement – from my perspective – appears to be much clearer for lawyers in the U.S. than in Canada. There is a need to serve clients in an efficient and ethical manner, and avoid malpractice claims. Lawyers and law students must be educated in how to select and use technology in a way that facilitates practice management. Education and training in ‘law practice management’ and ‘technology’ should be mandatory for all lawyers – whether they practice in law firms (small to large), as in-house counsel, in government, or in not-for profit organizations. This includes law students in law school. Law practice management skills are a required competency for lawyers today. Lawyers must understand what technologies are required to support different law firm, in-house or government business models. To competently practice law, a lawyer must now understand the impact that technology has on the practice of law, and by extension, law practice management. To be competent and successful, a more modern skill set is essential for today’s lawyer. Sandee Magliozzi, How Moving from ‘Best’ to ‘Next’ Practices Can Fuel Innovation, Santa Clara Law Faculty Publications, November 2015. Richard Susskind, in a review of legal education in the United Kingdom for the Legal and Training Review Board, argues that in many law schools, the law is taught as it was in the 1970s, by professors who have little insight into or interest in the changing legal market. Law graduates are ill-prepared for legal work today, and are still less equipped for tomorrow: Richard S. Granat and Stephanie Kimbro, The Teaching of Law Practice Management and Technology in Law Schools: A New Paradigm, Chicago-Kent Law Review, Vol. 88:3, page 757, 2013. For Canada law schools example, see; “In our consultations, the education and training of lawyers was one of the most intensely discussed issues … some debated the extent to which [Canadian] law schools should balance pure legal knowledge with practical skills”: CBA Legal Futures Initiative, Futures: Transforming the Delivery of Legal Services in Canada, Canadian Bar Association, 2014, page 54 – there were four law school professors on the Legal Education and Training team of the CBA Legal Futures Initiative, and three non-academic lawyers (page88). For U.S. law schools example, see the contrast; “Law schools and law firms are experimenting with new ideas and programs in how they teach and develop their students and lawyers. More and more innovative initiatives emerge daily, but more are needed. Many schools are supplementing and changing their curriculum; one example is Michigan State’s ReInvent Law Laboratory, which ‘focuses on human capital that better supports the current and future trend of the legal job market’. Law Schools are also looking beyond their ivory towers…”: Sandee Magliozzi, How Moving from ‘Best’ to ‘Next’ Practices Can Fuel Innovation, Santa Clara Law Faculty Publications, November 2015. CBA Legal Futures Initiative, Futures: Transforming the Delivery of Legal Services in Canada, Canadian Bar Association, 2014, page 7. Note: pre-Call to the Bar there are opportunities for training and education in the articling process, and the Law Practice Program (LPP) in Ontario. Post-Call, there are opportunities for training and education within the Continuing Legal Education programs. “Legal management / Law practice management” skills includes the following: business planning, workload and staff management; financial management; office management; project management; outsourcing; technologies for law firms and legal departments; external or internal marketing; and the ethical implications raised by each of these topics. Richard S. Granat and Stephanie Kimbro, The Teaching of Law Practice Management and Technology in Law Schools: A New Paradigm, Chicago-Kent Law Review, Vol. 88:3, page 757, 2013. Richard S. Granat and Stephanie Kimbro, The Teaching of Law Practice Management and Technology in Law Schools: A New Paradigm, Chicago-Kent Law Review, Vol. 88:3, page 757, 2013; Ronald W. Staudt and Marc Lauristsen, Justice, Lawyering and Legal Education in the Digital Age, Chicago-Kent Law Review, Vol. 88:3, page 687, 2013. Jessica Stillman, This 1 Question Can Radically Reduce Your Stress Levels: A Harvard psychologist, Inc., September 15, 2016. Richard S. Granat and Stephanie Kimbro, The Teaching of Law Practice Management and Technology in Law Schools: A New Paradigm, Chicago-Kent Law Review, Vol. 88:3, page 757, 2013. See, CBA Legal Futures Initiative, Futures: Transforming the Delivery of Legal Services in Canada, Canadian Bar Association, 2014; Charlie Gillis, Do we really need so many lawyers? – Barrister boom and bust: Legal fees are falling, pay is stagnant and jobs for law grads are harder to come by, MacLeans, September 22, 2013; Charlotte Santry, The expectation gap: Canadian Lawyer Compensation Survey, Canadian Lawyer, July 2, 2013; Nancy Macdonald, The $100,000 club: Who’s really making big money these days – Canada’s new upper class: firefighters, police officers, teachers, MacLeans, April 15, 2013 (“With an average income of $83,500, schoolteachers in Ontario now earn the same as the average lawyer in the province”). CBA Legal Futures Initiative, Futures: Transforming the Delivery of Legal Services in Canada, Canadian Bar Association, 2014, page 29 – “Clients are refusing to pay for junior lawyers or articling students. This is reducing the availability of articling positions”. Note: In addition to articling, there is the Law Practice Program (LPP) in Ontario designed to address a shortage of articling positions. The program is made up of four months of studies and four months of work placements with law firms and other legal organizations. CBA Legal Futures Initiative, Futures: Transforming the Delivery of Legal Services in Canada, Canadian Bar Association, 2014; Charlie Gillis, Do we really need so many lawyers? – Barrister boom and bust: Legal fees are falling, pay is stagnant and jobs for law grads are harder to come by, MacLeans, September 22, 2013; Charlotte Santry, The expectation gap: Canadian Lawyer Compensation Survey, Canadian Lawyer, July 2, 2013; Nancy Macdonald, The $100,000 club: Who’s really making big money these days – Canada’s new upper class: firefighters, police officers, teachers, MacLeans, April 15, 2013 (“With an average income of $83,500, schoolteachers in Ontario now earn the same as the average lawyer in the province”). Siobhan McClelland, Becoming a Lawyer: Is A Law Degree Still a ‘Golden Ticket’?, Huffington Post, September 4, 2012; Charlie Gillis, Do we really need so many lawyers? 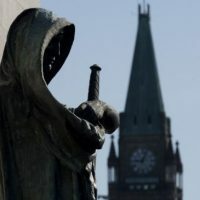 – Barrister boom and bust: Legal fees are falling, pay is stagnant and jobs for law grads are harder to come by, MacLeans, September 22, 2013; Ted Tjaden, Letter to a Law Student, Slaw (Canada’s online legal magazine), October 19, 2011; Law School in Canada: what will it cost? : comparing tuition fees at Canada’s common and civil law schools, Macleans, September 24, 2014; University of Toronto JD (Law School) tuition fees: 2016-2017 academic year – $34,734.82 [http://www.law.utoronto.ca/academic-programs/jd-program/financial-aid-and-fees/student-fees-jd-program#jd_fees]; Ryan Bhandari, Is it Still Worth it to Go to Law School?, Equities.com, July 16, 2015; Michelle Fox, Law School economics changing the reality for legal hopefuls, CNBC.com, May 9, 2015; Sarah Rankin, Today’s law grad: Six figures in debt and heading to Bay Street, Globe and Mail, April 2, 2013. Richard S. Granat and Stephanie Kimbro, The Teaching of Law Practice Management and Technology in Law Schools: A New Paradigm, Chicago-Kent Law Review, Vol. 88:3, page 757, 2013; CBA Legal Futures Initiative, Futures: Transforming the Delivery of Legal Services in Canada, Canadian Bar Association, 2014, page 7. Richard S. Granat and Stephanie Kimbro, The Teaching of Law Practice Management and Technology in Law Schools: A New Paradigm, Chicago-Kent Law Review, Vol. 88:3, page 757, 2013; CBA Legal Futures Initiative, Futures: Transforming the Delivery of Legal Services in Canada, Canadian Bar Association, 2014, page 7; Sandee Magliozzi, How Moving from ‘Best’ to ‘Next’ Practices Can Fuel Innovation, Santa Clara Law Faculty Publications, November 2015 – “We need to develop the competencies lawyers and law students will need to anticipate and respond to an increasingly rapidly changing legal landscape”. See ABA Standing Committee on Professionalism, Report on a Survey of Law School Professionalism Programs, 38,(2006); Richard S. Granat and Stephanie Kimbro, The Teaching of Law Practice Management and Technology in Law Schools: A New Paradigm, Chicago-Kent Law Review, Vol. 88:3, page 757, 2013. Quicker access to file-related information, knowing a file’s status in a matter of seconds, the ability to review correspondence history at a glance, and being able to recount details of the last contact any staff member has had with an external or internal client makes a legal organization appear very well informed. The lawyer (or team member) has immediate access to the electronic file, while the physical file is in a cabinet or drawer somewhere else. As a result, each interaction with the firm strengthens the client relationship and reaffirms the client’s decision to choose the external law firm or in-house legal department as their go-to lawyer on the file. Further, the law firm or in-house legal department use the workflow features of the case management system to develop and document accepted or preferred ways of handling certain matters or issues, including precedents. These guidelines may be the same for the entire legal organization, or may vary as required for different practice groups. CBA Legal Futures Initiative, Futures: Transforming the Delivery of Legal Services in Canada, Canadian Bar Association, 2014, page 29. Practice management systems are becoming a hub not just for practice management, but all functions within a law firm or legal department). 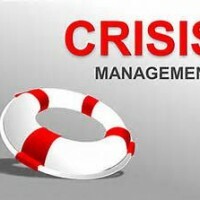 The days of handling practice management (also referred to as case management or matter management) manually are past. We live in a fast-paced digital age where automated efficiency is the rule, not the exception. Legal case management software is a priority, and a good system is a must to be utilized firm-wide / office wide / country wide depending on size of legal organization. The benefits of such a system seem obvious, and yet usage of practice management software remains surprisingly low. According to the 2014 ABA Legal Technology Survey Report, just 49% of respondents reported having practice management software available: Joshua Poje, Practice Management, ABA Tech Report, 2014. However, there is improvement as the annual ILTA/Inside Technology Purchasing Survey for 2016 – for members of firms of all sizes – states that “no matter the size of the law firm, one of the top priorities for 2016 is choosing and implementing legal technology and software into law firms, with 53% of respondents indicating that their law firms would be increasing their technology spend in 2016”: Nicole Black, Survey Results: How Solo and Small Firm Lawyers are Using Technology, MyCase.com, September 13, 2016. Annual ILTA/Inside Technology Purchasing Survey summary for 2016 – for members of firms of all sizes – states that “Cloud computing continues to be one of the hottest topics in legal IT. Law firms of all sizes are embracing the cloud, some on an application-by-application basis others with a ‘cloud first’ approach…More firms are moving to a ‘cloud-first’ approach and investing in technologies such as analytics, AI, virtualization, mobility solutions and other SaaS applications, turning increased productivity, efficiency and automation into profits.”: Nicole Black, Survey Results: How Solo and Small Firm Lawyers are Using Technology, MyCase.com, September 13, 2016. Ed Sohn, Alt.legal: If We Build It, Will They Come? The Problem of Legal Tech Adoption, Above the Law, September 14, 2016. Richard S. Granat and Stephanie Kimbro, The Teaching of Law Practice Management and Technology in Law Schools: A New Paradigm, Chicago-Kent Law Review, Vol. 88:3, page 757, 2013 – “The internet and technology has altered the demand for legal services from lawyers, which in turn, has impacted the employment prospects and profitability for lawyers”. Ed Sohn, Alt.legal: If We Build It, Will They Come? 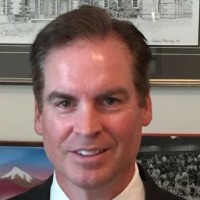 The Problem of Legal Tech Adoption, Above the Law, September 14, 2016 – “Sure, human legal judgment is important and the fiduciary nature enshrined in the attorney-client relationship is also important, but lawyers billing hundreds of hours on high-volume, repetitive tasks should expect their lives to radically change. Ultimately, this transformation serves to grow the overall practice, but there will be casualties in the interim shifting”. [Ed Sohn is a Senior Director at Thomson Reuters Legal Managed Services. After more than five years as a Biglaw litigation associate, Ed Sohn spent two years in New Delhi, India, overseeing and innovating legal process outsourcing services in litigation. Ed Sohn now focuses on delivering new e-discovery solutions with technology managed services]. CBA Legal Futures Initiative, Futures: Transforming the Delivery of Legal Services in Canada, Canadian Bar Association, 2014, page 26. Also see, Ed Sohn, Alt.legal: If We Build It, Will They Come? The Problem of Legal Tech Adoption, Above the Law, September 14, 2016 – “It’s not easy to walk into a room of millionaires and tell them they are doing everything wrong, especially when “more efficiency” sounds a lot like “less billable hours.”; and CBA Legal Futures Initiative, Futures: Transforming the Delivery of Legal Services in Canada, Canadian Bar Association, 2014, page 26-27 – “ [S]tudies show that most lawyers are by nature conservative and risk-averse. But attitudes vary with personal circumstances. Age, gender, experience, income, and perceived competitive advantage are only some of the factors segmenting lawyers’ attitudes towards change. Lawyers or law firms may not be motivated to innovate because of their current success (“if it ain’t broke, why fix it?”). They believe it is not worth the effort, time, and cost to make necessary adjustments. In many cases, there is a lack of entrepreneurship. High fees, comfortable incomes, and an aging demographic reduce the motivation to improve, invest, or innovate”. Ed Sohn, Alt.legal: If We Build It, Will They Come? The Problem of Legal Tech Adoption, Above the Law, September 14, 2016. Catherine Ho, Lawyers, could you pass this test?, Washington Post, February 23, 2015. CBA Legal Futures Initiative, Futures: Transforming the Delivery of Legal Services in Canada, Canadian Bar Association, 2014, page 32. Richard Susskind, in a review of legal education in the United Kingdom for the Legal and Training Review Board, argues that in many law schools, the law is taught as it was in the 1970s, by professors who have little insight into or interest in the changing legal market. Law graduates are ill-prepared for legal work today, and are still less equipped for tomorrow: Richard S. Granat and Stephanie Kimbro, The Teaching of Law Practice Management and Technology in Law Schools: A New Paradigm, Chicago-Kent Law Review, Vol. 88:3, page 757, 2013. For Canada law schools example, see; “In our consultations, the education and training of lawyers was one of the most intensely discussed issues … some debated the extent to which [Canadian] law schools should balance pure legal knowledge with practical skills”: CBA Legal Futures Initiative, Futures: Transforming the Delivery of Legal Services in Canada, Canadian Bar Association, 2014, page 54 – there were four law school professors on the Legal Education and Training team of the CBA Legal Futures Initiative, and three lawyers (page88). For U.S. law schools example, see; “Law schools and law firms are experimenting with new ideas and programs in how they teach and develop their students and lawyers. More and more innovative initiatives emerge daily, but more are needed. Many schools are supplementing and changing their curriculum; one example is Michigan State’s ReInvent Law Laboratory, which ‘focuses on human capital that better supports the current and future trend of the legal job market’. Law Schools are also looking beyond their ivory towers…”: Sandee Magliozzi, How Moving from ‘Best’ to ‘Next’ Practices Can Fuel Innovation, Santa Clara Law Faculty Publications, November 2015. CBA Legal Futures Initiative, Futures: Transforming the Delivery of Legal Services in Canada, Canadian Bar Association, 2014, page 7. Note: Pre-Call to the Bar there are opportunities here in the articling process, and the Law Practice Program (LPP) in Ontario. Post-Call, there are opportunities within the Continuing Legal Education programs. LSUC, Technology Practice Management Guideline, 5.5 Competent Use of Information Technologies – “lawyers should have a reasonable understanding of the technologies used in their practice or should have access to someone who has such understanding”. Technology Practice Management Guideline, Law Society of Upper Canada [http://www.lsuc.on.ca/with.aspx?id=2147491197]. Also see: LSUC, Technology Practice Tips: File Management, Cloud Regulations, Cloud Regulations, etc. [http://www.lsuc.on.ca/technology-practice-tips-podcasts-list/]. 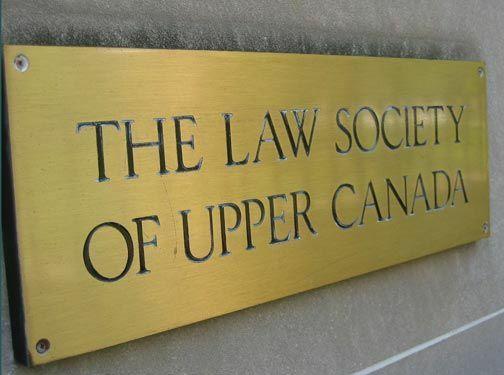 Law Society of Upper Canada, Rules of Professional Conduct, Chapter 3: Relationship to Clients, 3.1 Competence, 3.1-1 (c) (i), (j), (k) – commentary:  the lawyer should keep abreast of developments in all areas of law in which the lawyer practices; [15.1] lawyer fails to meet standards of professional competence if there are deficiencies in lawyer’s knowledge, skill .. the systems or procedures of the lawyer’s professional business]. Richard S. Granat and Stephanie Kimbro, The Teaching of Law Practice Management and Technology in Law Schools: A New Paradigm, Chicago-Kent Law Review, Vol. 88:3, page 757, 2013 (U.S.); Nicole Black, Technology Competence: It’s Your Ethical Obligation, The Daily Record, September 8, 2016 (U.S.); LSUC, Technology Practice Management Guideline, 5.5 Competent Use of Information Technologies – “lawyers should have a reasonable understanding of the technologies used in their practice or should have access to someone who has such understanding”; Law Society of Upper Canada, Rules of Professional Conduct, Chapter 3: Relationship to Clients, 3.1-2 (competent lawyer – commentary:  competence involves more than an understanding of legal principles; it involves an adequate knowledge of the practice and procedures by which such principles can be effectively applied. To accomplish this, the lawyer should keep abreast in all areas of law in which the lawyer practices; and # [15.1] lawyer fails to meet standards of professional competence if there are deficiencies in … the systems or procedures of the lawyers professional business)), 3.2-1 (quality of services: competent, timely, efficient – commentary: LSUC currently not adopt commentary of Federation of Law Societies of Canada, #  lawyer duty to provide quality of service at least equal to that which lawyers generally expect of a competent lawyer in a like situation, and #  (j) maintaining office staff, facilities and equipment adequate to the lawyers practice)). Also See: Federation of Law Societies of Canada, Model Code of Professional Conduct, Oct. 10, 2014 – preface: “The practice of law continues to evolve. 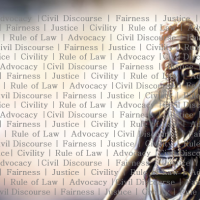 Advances in technology, changes in the culture of those accessing legal services and the economics with practising law will continue to present challenges to lawyers” (p.8); 3.2-1 (quality of services: competent, timely, efficient – commentary:  lawyer duty to provide quality of service at least equal to that which lawyers generally expect of a competent lawyer in a like situation;  (j) maintaining office staff, facilities and equipment adequate to the lawyers practice). Also see: LSUC, Technology Practice Tips: File Management, Cloud Regulations, Cloud Regulations, etc. [http://www.lsuc.on.ca/technology-practice-tips-podcasts-list/]. In the U.S., beginning in 2012, the American Bar Association adopted an amendment to Comment 8 to Model Rule 1.1, imposing an ethical duty on lawyers to stay abreast of changes in technology. Since that amendment was enacted, 23 states have followed suit and have likewise adopted the revised comment to the ABA’s Rule 1.1: Nicole Black, Technology Competence: It’s Your Ethical Obligation, The Daily Record, September 8, 2016. In Ontario, Canada, the LSUC, Technology Practice Management Guideline, section 5.5 (Competent Use of Information Technologies) states that “lawyers should have a reasonable understanding of the technologies used in their practice or should have access to someone who has such understanding”. The LSUC Rules of Professional Conduct currently not adopt following commentary from the Federation of Law Societies of Canada, Model Code of Professional Conduct, Oct. 10, 2014 – preface: “The practice of law continues to evolve. Advances in technology, changes in the culture of those accessing legal services and the economics with practising law will continue to present challenges to lawyers” (p.8); and 3.2-1 (quality of services: competent, timely, efficient – commentary:  lawyer duty to provide quality of service at least equal to that which lawyers generally expect of a competent lawyer in a like situation;  (j) maintaining office staff, facilities and equipment adequate to the lawyers practice). Richard S. Granat and Stephanie Kimbro, The Teaching of Law Practice Management and Technology in Law Schools: A New Paradigm, Chicago-Kent Law Review, Vol. 88:3, page 757, 2013; Law Society of Upper Canada, Technology Practice Management Guideline, 5.3 Systems to Support Client Service, 5.3.1 Electronic legal research methods, 5.3.2 Electronic document management systems, 5.3.4 Productivity software, 5.3.5 Communication technologies, 5.4 Systems to support practice management, 5.7 Confidentiality, 5.10 Security Measures, 5.11 Back-up and Disaster Management, 5.12 Obsolescence; Law Society of Upper Canada, Rules of Professional Conduct, Chapter 3: Relationship to Clients, 3.1-2 (competent lawyer – commentary:  competence involves more than an understanding of legal principles; it involves an adequate knowledge of the practice and procedures by which such principles can be effectively applied. To accomplish this, the lawyer should keep abreast in all areas of law in which the lawyer practices; and # [15.1] lawyer fails to meet standards of professional competence if there are deficiencies in … the systems or procedures of the lawyers professional business)), 3.2-1 (quality of services: competent, timely, efficient – commentary: LSUC currently not adopt commentary of Federation of Law Societies of Canada, #  lawyer duty to provide quality of service at least equal to that which lawyers generally expect of a competent lawyer in a like situation, and #  (j) maintaining office staff, facilities and equipment adequate to the lawyers practice)), 3.3-1 (confidentiality), 3.4-23 (lawyer due diligence for non-lawyer staff), 3.5-1 (preservation of client’s property); Chapter 6.1 Supervision, 6.1-1 (lawyer complete professional responsibility for their practice of law; supervise non-lawyers), 6.1-6.2 (signing E-Reg Documents); Chapter 7 Relationship of the Law Society and Other Lawyers, 7.6-1 (preventing unauthorized practice). Also See: Federation of Law Societies of Canada, Model Code of Professional Conduct, Oct. 10, 2014 – preface: “The practice of law continues to evolve. Advances in technology, changes in the culture of those accessing legal services and the economics with practising law will continue to present challenges to lawyers” (p.8); 3.2-1 (quality of services: competent, timely, efficient – commentary:  lawyer duty to provide quality of service at least equal to that which lawyers generally expect of a competent lawyer in a like situation;  (j) maintaining office staff, facilities and equipment adequate to the lawyers practice). Also see: LSUC, Technology Practice Tips: File Management, Cloud Regulations, Cloud Regulations, etc. [http://www.lsuc.on.ca/technology-practice-tips-podcasts-list/]. CBA Legal Futures Initiative, Futures: Transforming the Delivery of Legal Services in Canada, Canadian Bar Association, 2014, 54 – “One of the biggest challenges will be to determine how to educate and train the next generation of lawyers, as well as those currently in practice”.